The best tool is the one you have with you, so what better place to have it stashed than on your keychain? 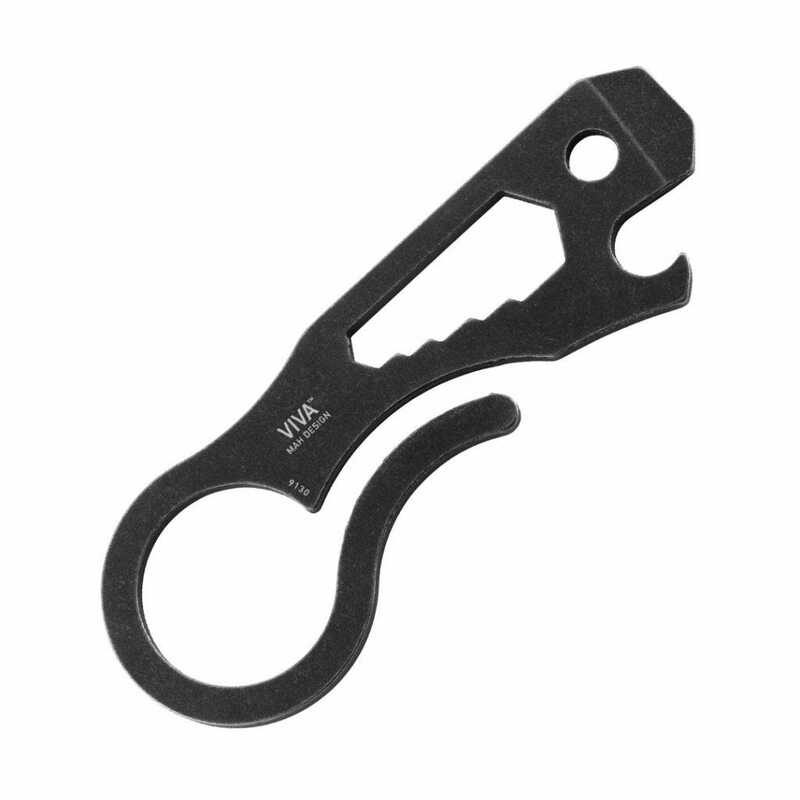 Whether you need to tighten a screw, uncap a beer bottle, pry something open, or tighten a fitting on your bike, or even start a fire, there’s a keychain tool for everyone. 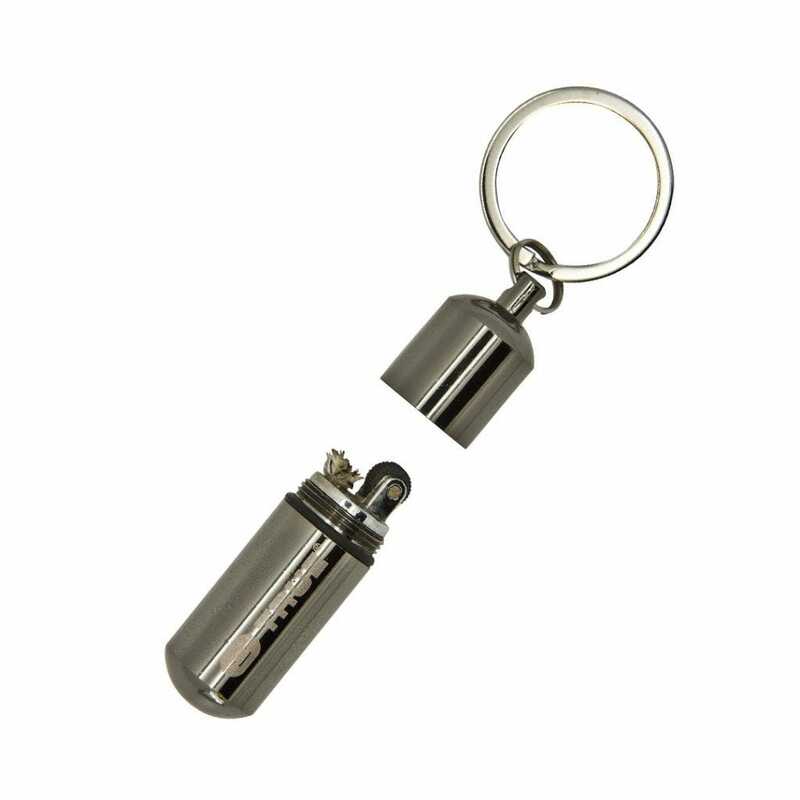 When it comes to shopping for a keychain tool the criteria are pretty straight forward. You want a product that is light, durable, actually fits in your pocket, and, ideally, has no pieces that can come off and get lost in your daily travels . 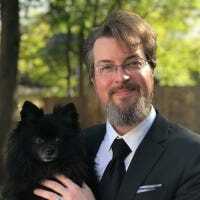 With that in mind, we’ve selected a wide variety of keychain tools for your perusal that won’t weigh you down but will help you with small day-to-day tasks. 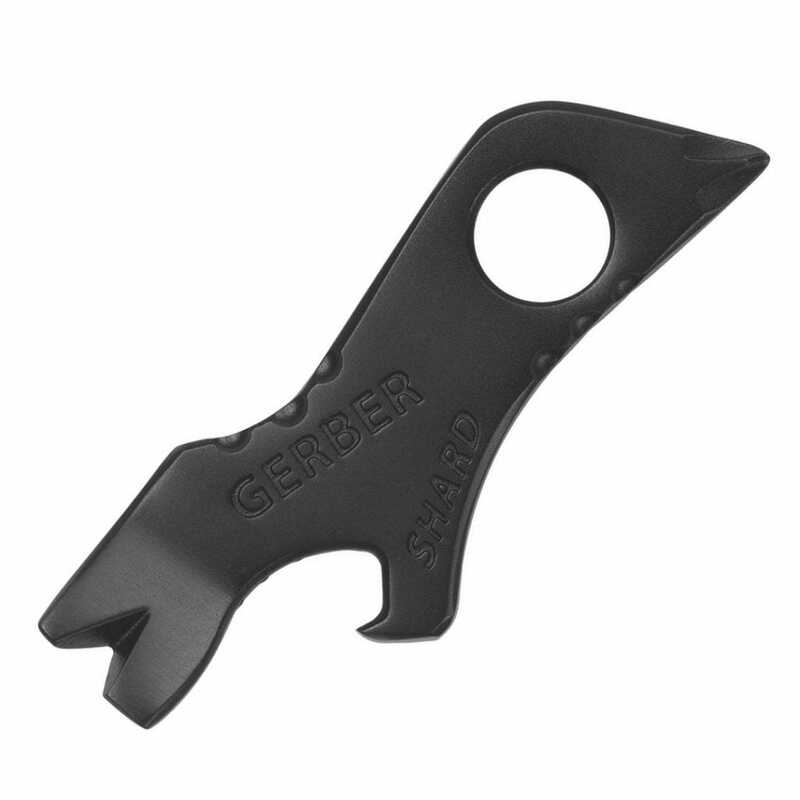 The Gerber Shard features a bottle opener, small pry bar, wire stripper, three screw drivers (a Phillips and two flat heads), a lanyard hole, and the entire thing is stainless steel with a titanium nitride coating. It’s a beloved little keychain accessory, so popular, in fact, that there’s a thriving knockoff market. 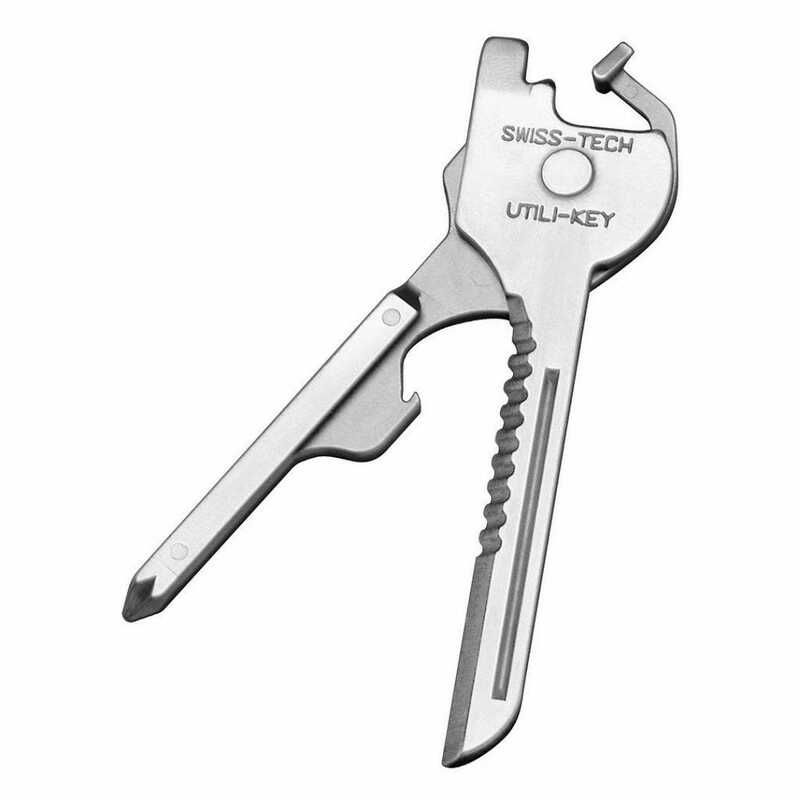 If we’re talking about keychain tools it would be remiss of us not to look at the incredibly popular Swiss+Tech tool. Roughly the size of a chunky car key fob when folded up, it packs in pliers, a bottle opener, wire cutter/stripper/crimper, two mini rulers, two hex wrenches, six screw drivers, and a tiny hand drill. Tools aside, the best design feature is that you can take it on and off your keychain by unfolding it. 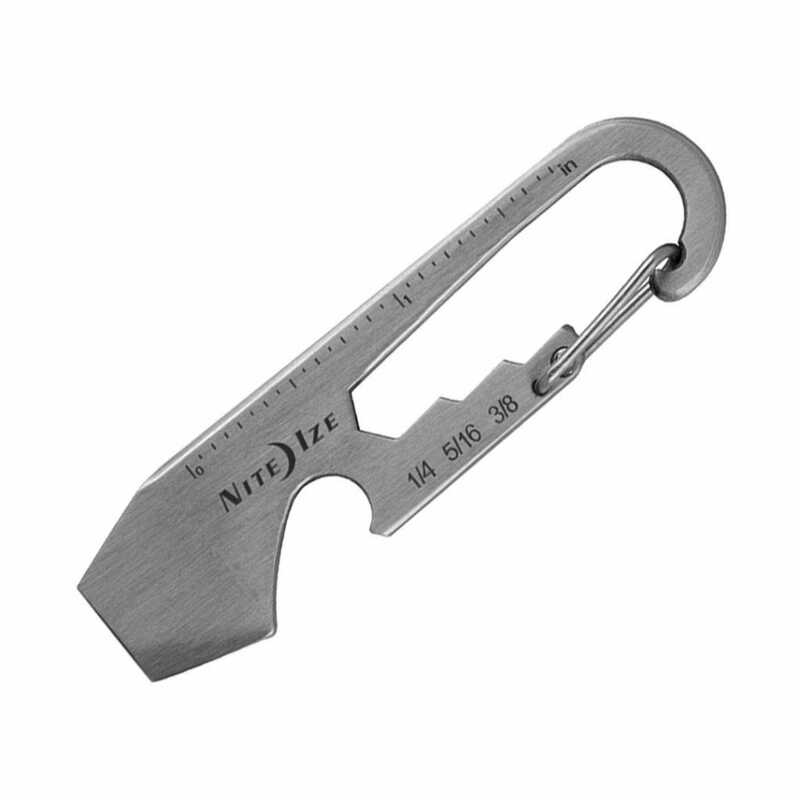 If you want your keychain tool lightweight and removable, the carabiner style release on the Nite Ize DoohicKey makes it easy to take it off your keychain so you’re not banging all your keys around while you’re working. It sports a bottle opener, a flatehead screwdriver that doubles as a prying tool and box cutter, staggered wrenches (.25”, .3125”, and .375”), and a ruler. At four inches long with a stout profile, the stainless steel VIVA offers a nice amount of leverage when you’re using the bottle opener, wrenches (1/2″, 7/16″. 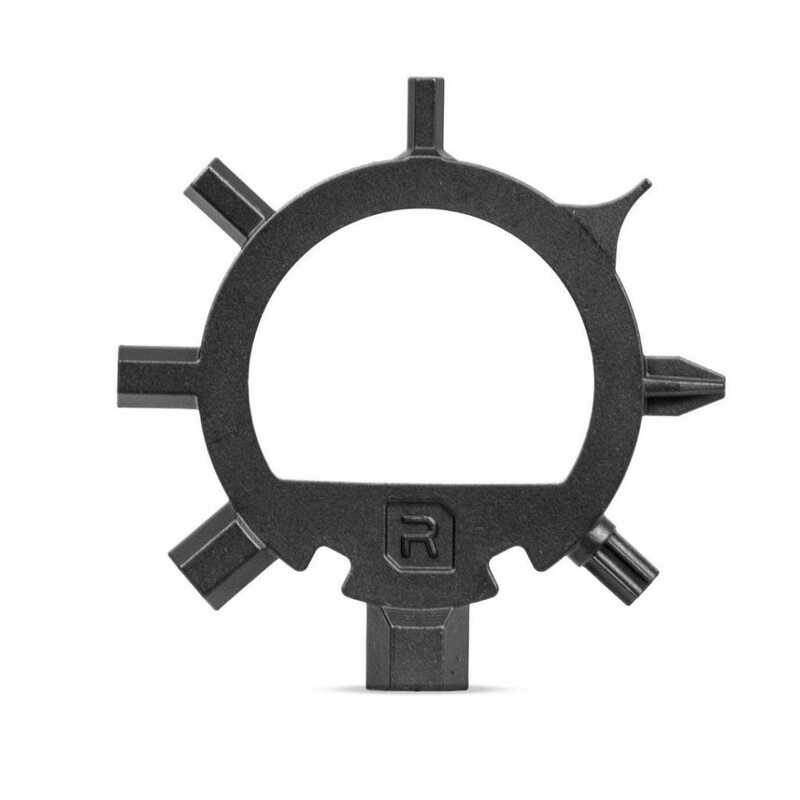 3/8″, 5/16″, and 1/4″), pry bar tip, or flat head screwdriver (and the rounded loop on the end doesn’t bite into your hand). Whether you’re hanging it from your belt or bag, or you’ve got it buried in your pocket, the VIVA has the leverage you crave. 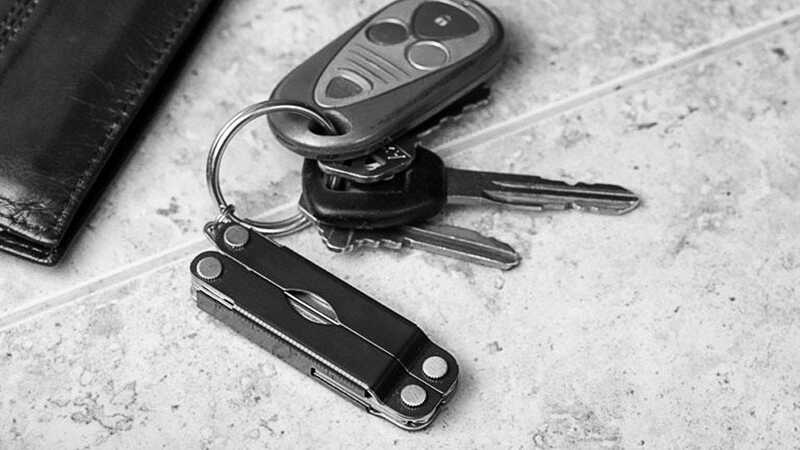 If you like your keychain tools to look like, well, a key, then the QuickKey might be your pick. What it lacks in wrenches it makes up for with a low profile key-shape design that is a small prying tool with a flat head screwdriver no the end, a bottle opener, and a serrated three-tooth edge that is surprisingly effectively at cutting through tape, twine, and zip ties. In keeping with the shaped-like-a-key theme, let’s not overlook the Swiss Tech Utilitkey. 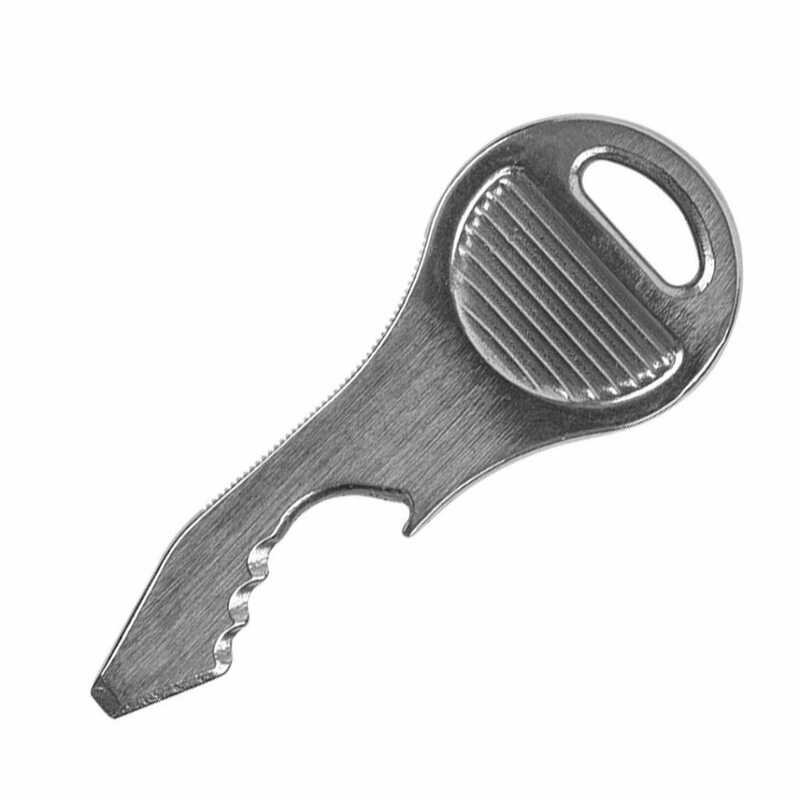 It has a profile like a regular key but unfolds (unlocking itself from your key ring) to reveal a flat head, Phillips, and micro screwdriver, a tiny half straight/half serrated knife blade, and a bottle opener. 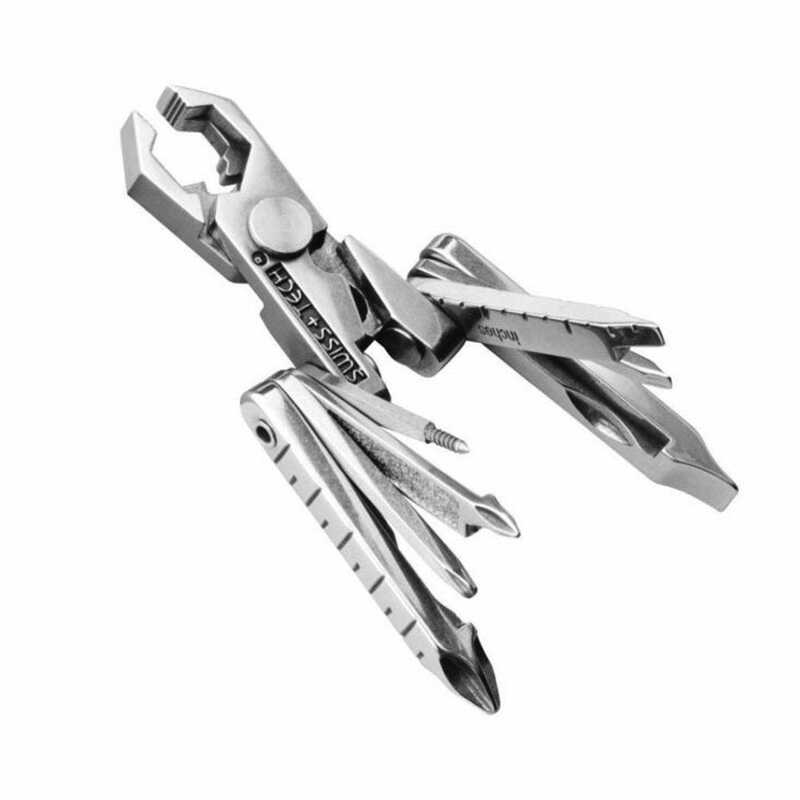 For the multitool devotees on your shopping list, there’s probably not a better pick than a Leatherman Micra (the tiny keychain version of the classic Leatherman). 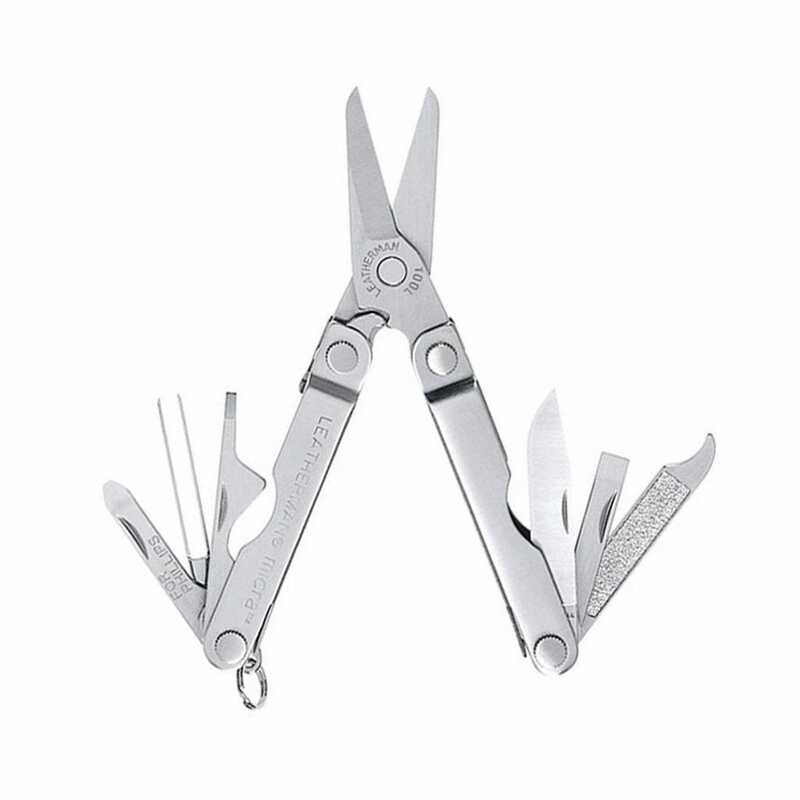 A small penknife, nail file and cleaner, multiple screw drivers (two flat heads and a low-profile Phillips), a bottle opener, are all tucked inside a body that closes, just like the original full size Leatherman, around a pair of scissors. 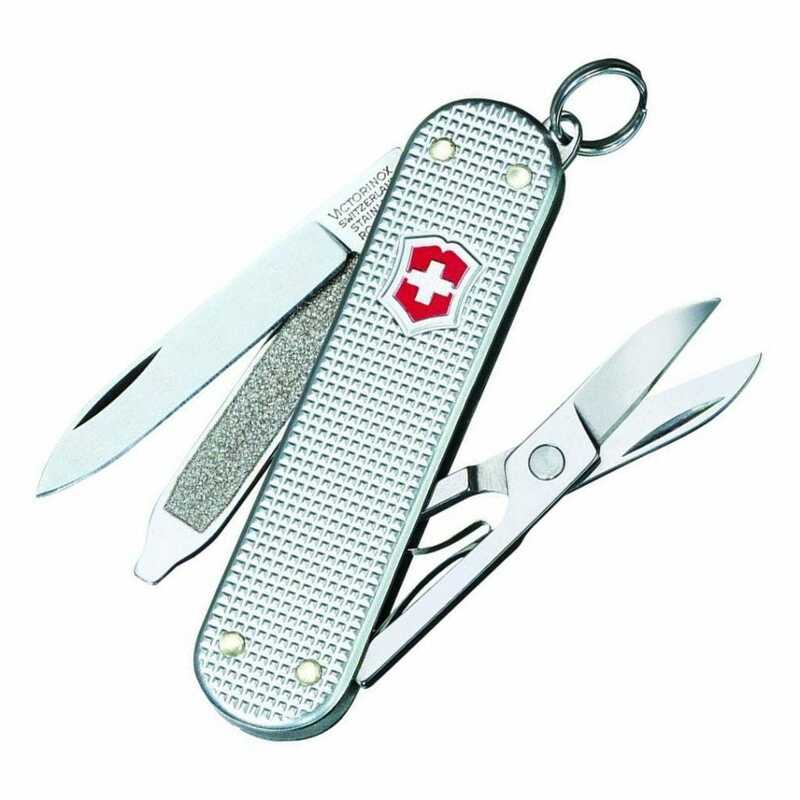 We can’t very well talk about a classic pocket tool company like Leatherman without mentioning the Swiss Army knife. Victorinox’s Classic keychain pen knife is available in an updated form where the red plastic body is replaced with their “Alox” metal sheathing. The end result is a much slimmer pen knife with the same small blade, nail file/screw driver, and scissors you’d expect.